For traveler tips, other places to visit, reviews, and tourist information, you can read our Curitiba online trip builder . If you are flying in from Brazil, the closest major airport is Afonso Pena Airport. January in Curitiba sees daily highs of 31°C and lows of 20°C at night. On the 10th (Fri), you're off toCiudad Del Este. The commercial center of eastern Paraguay, busy Ciudad Del Este serves primarily as a shopping destination for Argentines and Brazilians. Kick off your visit on the 14th (Tue): have some family-friendly fun at Museo Planet 3D and then take in the dramatic scenery at Saltos del Monday. On the next day, get outside with Refugio Tati Yupi, make a trip to PRESA DE ITAIPU, and then fly down the slopes at Snow Park. To find maps, other places to visit, where to stay, and more tourist information, use the Ciudad Del Este visit app . Ciudad Del Este is very close to Foz do Iguacu. In January, daytime highs in Ciudad Del Este are 37°C, while nighttime lows are 24°C. 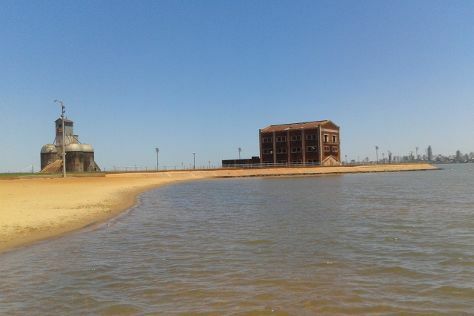 Wrap up your sightseeing on the 15th (Wed) early enough to drive to Encarnacion. Encarnacion offers a good selection of cultural and natural attractions. Kick off your visit on the 10th (Fri): take in the architecture and atmosphere at Parroquia Catedral Nuestra Senora and then stroll through San Jose Beach. To find where to stay, more things to do, traveler tips, and tourist information, read our Encarnacion sightseeing planner . You can drive from Ciudad Del Este to Encarnacion in 4.5 hours. Alternatively, you can take a bus. Traveling from Ciudad Del Este to Encarnacion, you'll gain 1 hour due to the time zone difference. Expect a daytime high around 38°C in January, and nighttime lows around 24°C. On the 11th (Sat), you'll travel to Santa Fe. A trip to Santa Fe reveals a city steeped in history and yet alive with a modern feel. To find traveler tips, other places to visit, where to stay, and tourist information, use the Santa Fe online trip itinerary maker . Drive from Encarnacion to Santa Fe in 10 hours. Alternatively, you can fly. You'll lose 1 hour traveling from Encarnacion to Santa Fe due to the time zone difference. Expect a daytime high around 37°C in January, and nighttime lows around 24°C. Wrap up your sightseeing by early afternoon on the 12th (Sun) to allow enough time to travel to Rosario. Once upon a time, Rosario was famous for being the birthplace of not only revolutionary leader Che Guevara, but also the Argentine flag. To find more things to do, traveler tips, maps, and other tourist information, go to the Rosario day trip tool . Traveling by car from Santa Fe to Rosario takes 2 hours. 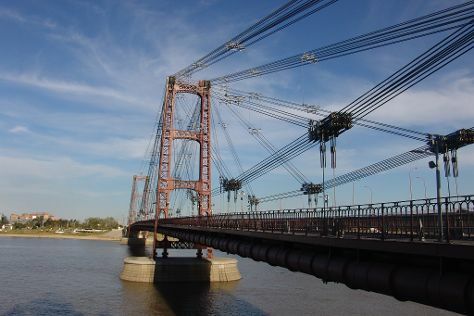 In January, daily temperatures in Rosario can reach 36°C, while at night they dip to 22°C. Finish up your sightseeing early on the 12th (Sun) so you can go by car to Buenos Aires. Buenos Aires is known for nightlife, museums, parks, historic sites, and shopping. Your plan includes some of its best attractions: don't miss a visit to Recoleta Cemetery, explore the engaging exhibits at Museo de los Ninos, take a stroll through Puerto Madero, and admire the masterpieces at Museum of Latin American Art of Buenos Aires. For maps, ratings, photos, and more tourist information, read Buenos Aires trip maker site . Drive from Rosario to Buenos Aires in 3 hours. Alternatively, you can take a bus; or fly. When traveling from Rosario in January, plan for little chillier days and about the same nights in Buenos Aires: temperatures range from 33°C by day to 24°C at night. Wrap up your sightseeing on the 15th (Wed) early enough to ride a ferry to Montevideo. Start off your visit on the 16th (Thu): wander the streets of Pocitos, then take in the waterfront at Rambla de Montevideo, then wander the streets of Ciudad Vieja, and finally make a trip to Plaza Independencia. 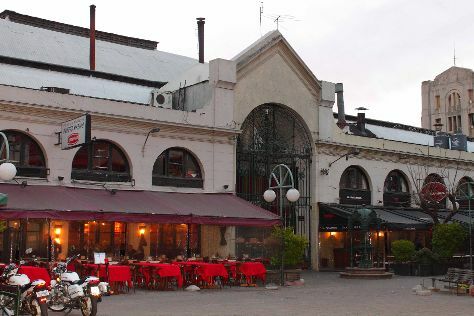 Keep things going the next day: don't miss a visit to Montevideo Sign and then hunt for treasures at Mercado del Puerto. To see traveler tips, other places to visit, maps, and tourist information, refer to the Montevideo trip planning website . You can ride a ferry from Buenos Aires to Montevideo in 2.5 hours. Other options are to fly; or take a bus. Traveling from Buenos Aires in January, Montevideo is slightly colder at night with lows of 20°C. Wrap up your sightseeing on the 17th (Fri) to allow time to take a bus to Punta del Este. Keep things going the next day: make a trip to Puerto de Punta del Este, make a trip to The Fingers of Punta del Este, then kick back and relax at Playa Brava, then snap pictures at Puente Leonel Viera, and finally see the interesting displays at Museo del Mar. For other places to visit, reviews, traveler tips, and other tourist information, read our Punta del Este trip planner . Traveling by bus from Montevideo to Punta del Este takes 2 hours. Alternatively, you can drive. 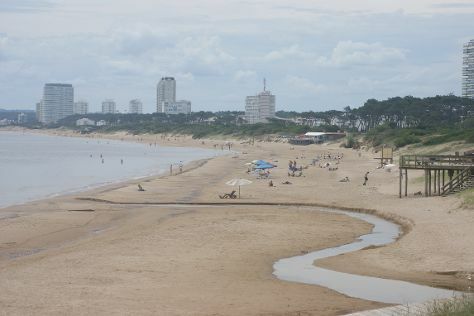 In January, daytime highs in Punta del Este are 30°C, while nighttime lows are 23°C. Wrap up your sightseeing on the 19th (Sun) to allow time to travel back home.